Isn’t that what they said after the 9/11 attacks, when we libertarians pointed out that those attacks were motivated by the deep anger and rage that had boiled over in the Middle East because of what the U.S. government had been doing to people there? In fact, isn’t that what they said after Timothy McVeigh’s terrorist attack on the federal building in Oklahoma City, when we libertarians pointed out that he had been motivated by deep anger and rage arising from the federal massacre of U.S. citizens at Waco, including innocent women and children? The reason the interventionists go off on this You’re a justifier tirade is that the last thing they want to be confronted with is the wrongdoing of the U.S. government and its responsibility for the blowback — the retaliatory consequences — from such wrongdoing. That terrorist attack at the World Trade Center took place in 1993. That was after the Persian Gulf War, when the Pentagon knowingly and intentionally destroyed the water-and-sewage facilities in Iraq with the specific intent of spreading infectious illnesses among the Iraqi people. It was also the second year of the brutal sanctions that were contributing to the deaths of Iraqi children, many from infectious illnesses. That was what Yousef was referring to when he mentioned the embargo which kills nobody but children and elderly people. That’s just one of the things that the U.S. government was doing to people in the Middle East that were causing people’s anger and rage to reach a boiling point. Here at The Future of Freedom Foundation, we repeatedly warned — prior to 9/11 — that unless the U.S. government ceased and desisted from its wrongful conduct in the Middle East, the United States would be hit with another terrorist attack. We were repeatedly pointing out that the anger and rage were going to reach another boiling point, just like they had in 1993, and culminate in a terrorist attack on American soil. Fair enough. But surely many of them were familiar with the works of Chalmers Johnson, professor emeritus at the University of California, San Diego, who served as a consultant for the CIA from 1967—1973. 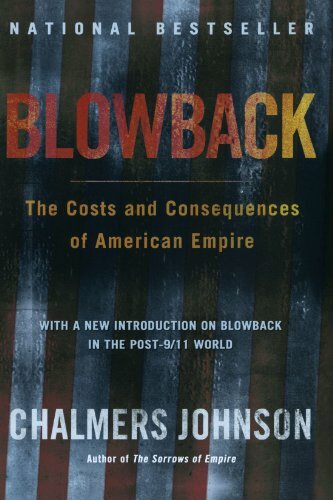 In his book Blowback: The Costs and Consequences of American Empire, Johnson made the same point — that U.S. foreign policy in the Middle East was inevitably going to lead to retaliatory terrorist blowback on American soil. 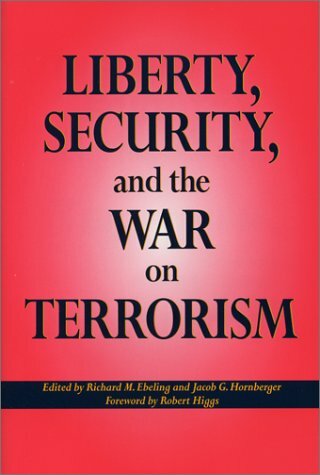 His book was published in March 2000, more than a year before the 9/11 attacks. Did the U.S. government learn anything at all after the 1993 attack on the World Trade Center? Did it change its interventionist foreign policy? Did it stop doing bad things to people in the Middle East? On the contrary, it not only continued its interventionist policies that had precipitated the 1993 retaliatory blowback on the World Trade Center, it expanded upon them for the next several years, until the anger and rage in the Middle East once again reached a boiling point that erupted in full force on 9/11. For example, consider the brutal sanctions that were contributing to the deaths of countless Iraqi children that had filled Ramzi Yousef and many other people in the Middle East with anger and rage. Those sanctions continued … and continued … and continued, with the death toll mounting year after year after year — along with rising anger and rage. Click here for a compilation of articles that provide an excellent summary of the nature and consequences of the sanctions on Iraq. By the mid-1990s the death toll for Iraqi children from the sanctions had reached the hundreds of thousands. What was the response of U.S. officials to this rising death toll? Nothing but callous indifference. They simply didn’t care. In 1996 U.S. Ambassador to the UN Madeleine Albright expressed the official position of Washington when she responded to a question put to her by Sixty Minutes regarding the half-a-million children who had died as a result of the sanctions: She said that such a price was worth it. By it she meant U.S. foreign policy in the Middle East, specifically the attempt to oust Saddam Hussein from power and replace him with a U.S.-approved ruler. The brutal sanctions continued throughout the 1990s and in to the 2000s, amidst a growing outcry all over the world, not to mention the rising anger and rage within people in the Middle East. In order to cover its wrongdoing, the U.S. got the UN to enact the infamous oil-for-food program, a crooked, corrupt, bureaucratic, socialistic government program that was nothing more than a charade to cover up the rising death toll and the callous indifference to the horror. In 2000, in a crisis of conscience, two high UN officials, Hans van Sponeck and Denis Halliday, even resigned their posts in protest to what was being described as genocide. As a UN official, I should not be expected to be silent to that which I recognise as a true human tragedy that needs to be ended, von Sponeck stated. “How long the civilian population, which is totally innocent on all this, should be exposed to such punishment for something that they have never done?” he asked. Those brutal sanctions continued all way up to the U.S. invasion of Iraq in 2003. Unfortunately, that wasn’t all that the U.S. government did after the Berlin Wall collapsed, when people were questioning the necessity of an enormous Cold War military and military-industrial complex. The U.S. government also did such things as station troops on Islamic holy lands, knowing full well the adverse effect this would have on the sensitivities of Muslims. It also enforced the brutal no-fly zones over Iraq, which were used as the excuse to kill more Iraqis — zones which, by the way, had never been approved by either Congress or the UN. And on top of all this death, destruction, and humiliation, was the never-ending unconditional financial and military foreign aid given to the Israeli government. I ask you: What better formula for boiling anger and rage among people in the Middle East than that? Did anything change after the 9/11 attacks? Did the U.S. government learn any lessons from those attacks? Did it abandon any of its interventionist policies? On the contrary, it not only continued the policies that had given rise to the anger and rage, it used the attacks to expand the interventionist policies. First and foremost, the 9/11 attacks were used as the excuse to effect regime change not only in Iraq but also in Afghanistan. In other words, what 11 years of brutal and deadly sanctions had failed to achieve in Iraq — regime change — was quickly achieved with a military invasion and occupation. The U.S. government had provided Afghanistan with millions of dollars in foreign aid immediately prior to the 9/11 attacks, with full knowledge that Osama bin Laden was based in Afghanistan. But when the Taliban refused to comply with President Bush’s unconditional and non-negotiable demand to turn bin Laden over to the United States without the production of any evidence, the U.S. resorted to invasion and occupation to oust the Taliban from power and replace them with a U.S.-approved ruler, in the process killing countless Afghanis who had absolutely nothing to do with the 9/11 attacks. Compare the deadly and disastrous consequences from the military approach used to try to capture bin Laden to the criminal-justice approach that was used to capture Ramzi Yousef. Yousef today is residing in a U.S. federal penitentiary as a result of the sentence he received by a federal judge who treated terrorism as the federal crime it is. Also, no one was killed by U.S. bombs in Pakistan, where Yousef was ultimately arrested. Compounding the invasions and long-term occupations of Iraq and Afghanistan has been the callous indifference to the loss of innocent life in those two countries. Year after year, U.S. officials have professed to be killing and destroying out of love for the Iraqi and Afghani people. Sure, we’re killing you but it’s all for your own good because in the long run, you will have democracy and so it will all be worth it, U.S. officials have exclaimed. Don’t fret about losing your mother or father, or your bride, or your sister, or your friend. In the long run, you will thank us because you will find that democracy will be worth it. Longtime supporters of The Future of Freedom Foundation know that ever since our inception in 1989, we have led the way in opposition to a pro-empire, pro-interventionist foreign policy. 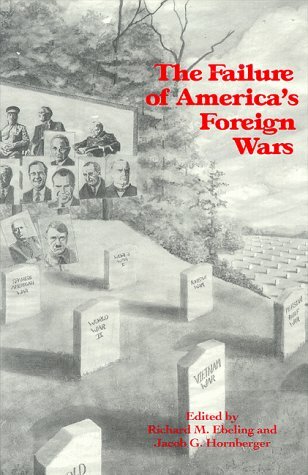 In fact, one of earliest books was The Failure of America’s Foreign Wars, followed later by Liberty, Security, and the War on Terrorism, published after 9/11, followed by innumerable essays since then. Since 9/11, we have consistently opposed both the invasion of Iraq and Afghanistan, arguing fervently that not only were these two wars illegal (no declaration of war, as required by the U.S. Constitution) but that they were nothing more than a continuation of the policies that had produced the boiling anger and rage that had erupted in 1993 and then again on 9/11. We should also never lose sight of the fact that while Afghanistan bore a tangential relationship to 9/11, the decision to treat the attack as a military problem rather than a criminal-justice one has been an unmitigated disaster. By killing countless Afghanis who had nothing to do with 9/11, the U.S. government has simultaneously swelled the ranks of people whose anger and rage have propelled them into the ranks of those who seek retaliation, including it now seems beyond any doubt, the alleged Ft. Hood killer, Maj. Nidal Malik Hasan. Are we here at The Future of Freedom Foundation surprised by the Ft. Hood killings? Why would we be? In fact, what surprises us is that we haven’t seen more of this type of thing. How can it be otherwise? I’m going to repeat what we’ve been saying since before 9/11: the U.S. government needs to get out of the Middle East and Afghanistan. Pull the troops out now. There is no other genuine way to support them. Stop the killing. End the occupations. The U.S. military and the CIA have had eight years to do all the killing, torturing, humiliating, and destroying they want. Now it is time to bring it to an end. Enough is enough. And I’m going to repeat our predictions of what Americans should expect should the U.S. government continue its pro-empire, pro-interventionist foreign policy in the Middle East and Afghanistan: Americans should prepare themselves to reap the full bounty of what their government’s foreign policy is sowing. An evil seed will produce an evil tree that will bear evil fruit. As the anger and rage arising from the U.S. government’s foreign policy periodically boils over, everyone should prepare himself for more acts of terrorism, murder, treason, war, insanity or whatever other label you wish to put on the retaliatory killing, not to mention the monetary disaster that looms ahead from all of the out-of-control spending to finance this imperialist and interventionist madness.